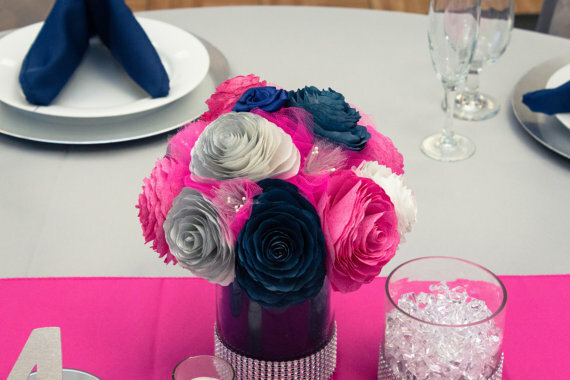 Navy blue, hot pink and silver wedding table centerpieces Handmade paper Peonies in a 7x4 inch glass vase filled with hot pink and navy blue tulle with sparkling silver rhinestone ribbon mesh around the bottom. Floral bouquets have satin ribbon roses and pearl sprays between the flowers. Decorations not included.